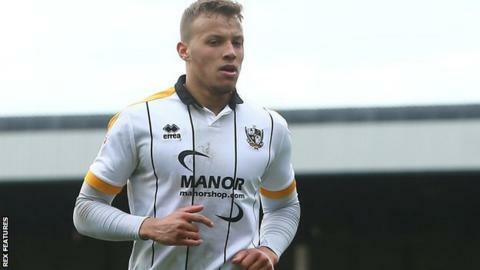 Port Vale have agreed loan deals for West Brom defender Kyle Howkins, Manchester United midfielder Callum Whelan and Nottingham Forest midfielder Toby Edser until the end of the season. Howkins, 22, makes the move to Vale Park for the second January deadline day in as many years. Whelan, 20, has been at United since the age of six and will be starting his first loan at an EFL club. Edser, 19, featured in the FA Cup while on loan at non-league Woking last term. The trio are Vale's first signings since the departure of manager Neil Aspin on Wednesday. Vale are six points clear of the League Two relegation zone and host Tranmere Rovers on Saturday. If that game goes ahead, following midweek snowfall, the team is expected to be under the caretaker charge of veteran player Danny Pugh, who took training on Thursday. BBC Radio Stoke have reported that former Macclesfield and Shrewsbury manager John Askey is expected to get the full-time Vale job. Meanwhile, Vale have signed midfielder Daniel Trickett-Smith from Leek Town on a deal until 2021 before loaning him back to the non-league side for the rest of the season.